A 22-year-old Wanaka man is due to appear in the Queenstown District Court this month facing charges relating to two building site burglaries and two commercial storage yard burglaries in the Queenstown and Wanaka areas in the last three months. Sergeant Miriam Reddington, of Wanaka, said further charges were likely. The man was arrested after police executed a search warrant at a Wanaka building site yesterday and recovered a ''substantial amount'' of timber, scaffolding and a large amount of other building material and tools. 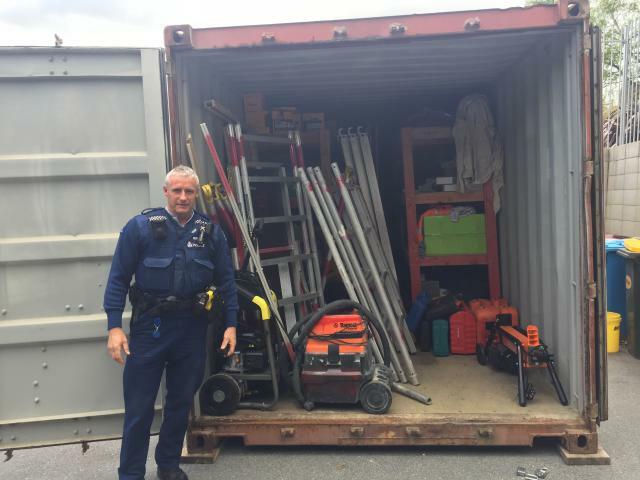 Sgt Reddington said other property recovered included a container filled with building equipment and machinery; a Hyundai digger and two trailers; drop saws; generators; nail guns; power tools; and wooden boxing. Police wanted to hear from tradespeople and building retailers who may have lost equipment over the last several months and Sgt Reddington said the seized items would be held at the Wanaka Police Station and could be inspected by appointment. "We encourage tradespeople to secure all equipment at night, record the serial numbers of tools, and engrave their equipment with identifying marks." The man is due to appear in the Queenstown District Court on October 15.